Sandy is President and CEO of The Garner Group Real Estate LLC in Bend, OR. She is a native and lifelong resident of Central Oregon. 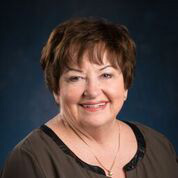 Sandy has held an Oregon real estate license since 1979. She brings her vast individual connections and collaborative style to the work of Friends of Hospice as well as expertise in creating sustainable business models. She has a special interest in government affairs, philanthropy, professional training, and creating performance benchmarks.